“Are the Humpback Whales trying to communicate with us? I think so, and when you watch this film, you too will become a believer. 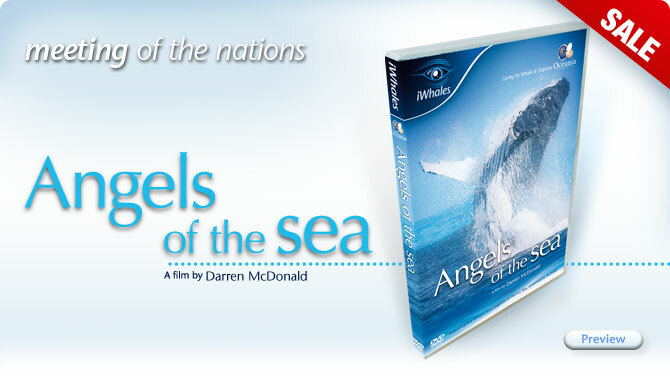 You will witness some of the most incredible Whale and Dolphin encounters ever caught on film. In Hervey Bay, Australia we are watching an extraordinary coming together of two highly intelligent creatures: Whales and Humans! My hosts are two very special friends: Trish and Wally Franklin, founders of The Oceania Project – an organisation dedicated to raising awareness about Whales and Dolphins through research and education programs. Together we will show you why Hervey Bay has become the world’s most popular Whale Watching location - a special meeting place between Humpbacks and Humans. Witness giant Humpback Whales reaching out to touch people and showering them with water. Be there, as young Whales are fed and nurtured, before leaping into the atmosphere for the first time.